Italian Hospital Society, the organization led by Dr. Domenico Mignone, MD, held an informational meeting at City Island Community Center last night. The doctor and his group were seeking Civic Association support for the creation of another City Island Home for the Aged. The Society is responsible for building the first Italian Hospital in Manhattan, catering to New York’s immigrant population, back in the late 1930s. If you plan to be Tweeting, or Blogging... Who even has time to sleep anymore? As our social networking and social media tools expand, it’s important to maintain control of our communication. Whether for business, personal use, or both, lets streamline our social media presence by tapping into these time-management tips and tools designed specifically for social media technology. 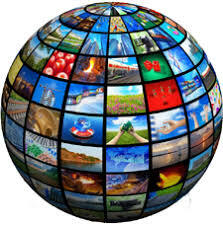 Just like IMAGES, there are new media outlets being created every day; keeping up with them can be time consuming. A few years ago, you might have checked your e-mail. Now, many users have a Facebook page and a Twitter account...etc. Whether we network for personal use or business needs, it is a good idea to evaluate our tools to make sure they add to our productivity. If we are social butterflies, or news junkies, using Twitter for frequent, short bursts of information might be the best tool. If our business relies on our expertise in our field, then a regularly-updated blog might be the perfect way to share informative industry-related information. Anyone who has spent five minutes with Facebook knows that a quick session can easily turn into a longer one. Time management is an important skill to master for maximizing your social media interaction. A common strategy is to set aside certain times of the day to log in and catch up. Personal users typically check in before work, during lunch and at the end of the day. Business users may need to look more often, setting blocks of time — say, 30 minutes — in the morning and afternoon to send out updates to customers. Choose a schedule that works for you, but stay faithful to the limits you set. If you have the feeling that you are spending more time than you need to on social media pursuits, try logging the time you spend accessing social media for one week to get an accurate idea of the time you dedicate to it. If you find yourself getting sucked in for hours, you might want to set a kitchen timer for fifteen minutes each time you log in: when the buzzer goes off, you’re done. Now that there are many social media outlets available, companies are creating helpful tools to bundle access to favorite sites. By managing our social media outlets with one app, we don’t have to log in to every social media tool separately to check out the action; we can hit them all at once and save time. As grass roots uprisings all over the world gain momentum from social networks, like Twitter, questions keep coming up concerning censorship and security issues. What lessons do the uprisings hold? What can organizations do to promote freedom of expression in a time of political change? Bronx Museum on Wheels- Another Really Big Show? The Bronx Children’s Museum is actually a former school bus, which has been painted in a burst of bright purple, orange and florescent yellow. It is the brainchild of the grandchild of a well know TV personality and pioneer blogger. The President of The United States sees his popularity plummeting, as the war drags into another year... Congressional crusades continue stirring public fears... The disclosure of widespread corruption among federal employees rocks the current administration. New York City has undertaken a sweeping review of how co-ops and condos are taxed following an outcry by some owners who saw the assessed market value of their properties shoot up as much as 147 percent this past year. Does anyone know how many US military veterans live on City Island? Read more about Does anyone know how many US military veterans live on City Island? City Island Images is interested in identifying military veterans, who currently live on the island. Could you please contact us if you are a US veteran, or if you know someone else who has served in our military? Regardless of the branch of their military service, we would like our readers to know all about the special sacrifices made by these local heroes. Pretend you’re visiting Manhattan to watch the live version of “Dancing With the Stars”, but a different band performing every night during this 18-year-old annual dance festival. You say you can not do the salsa? No problem: A dancing lesson precedes the live performance. The feeling in the air on the tango night is much different from the next night, and you get to dance with strangers. Captain Ed Sadler is a proud 95 year old clam digger. This is the term City Islanders use to refer to people who were born and raised on the island. However, there are few like Mr. Sadler, who was born and still lives in the same house his family built here. Mr. Sadler recalls when gas was pumped by hand and cost only pennies. City Island is less than a mile from Pelham Bay Park in the Bronx and since it has only a few thousand residents, most are mussel suckers, but they still embrace the charm of a 100 year old New England village.